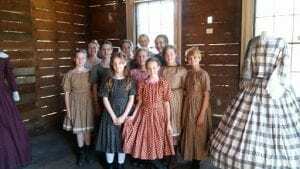 Summer Camp on the Oregon Trail – now 4 ways to play! Designed for the working parent who wants summer to be fun, social, meaningful, AND academic. 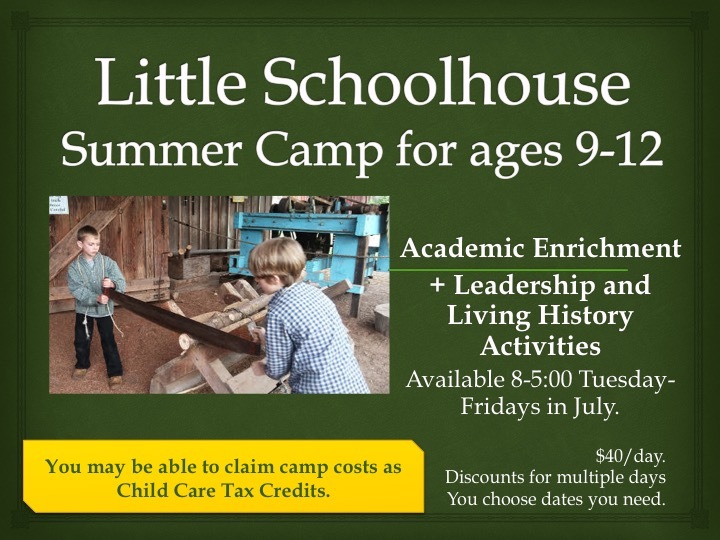 These camps are one week long, from 9:00 a.m. to 3:00 p.m. Monday through Friday. Cost is $175.00, plus a $50.00 refundable deposit for the period clothing issued to your child for the week. 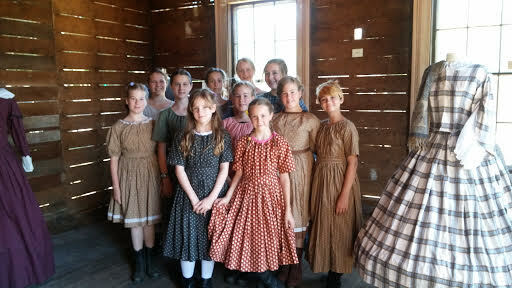 Fifteen to 25 students work with experienced crafters, learning important pioneer skills, stories, songs, and dances. Register online. 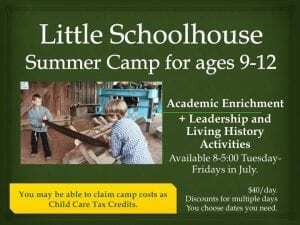 8-5:00 option for additional $25.00/day.